Stone has large hardness, different types have differences in hardness. But regardless of soft ore or hard rock, will cause varying degrees wear and tear for grinding equipment in the production process. The oversize feeding stone will speed up the wear rate, reduce the machine life. 1. 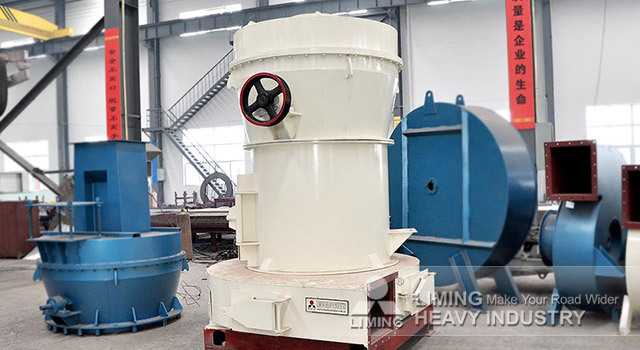 Each type of grinding mill has a clear requirement on input size, feeding too large leads to materials stucking. 2. Stuck material will cause accumulation, low production efficiency. In addition, the grinding mill host is still rotational, less material in grinding roller, grinding roller ring is worn. 3. Large stone into the grinding chamber, the same quality, the larger the block, the greater the difficulty of grinding, wearing parts of the mill be worn more seriously. 4. Large stone increase the burden of mill operation, the machine failure rate is increased. So, how do we avoid the occurrence of such damage imagination? In fact, we only need to strictly control the input size of the material. We can equip with a small jaw crusher to crush the raw material to the size of the feed aperture for caliber. More about the maintenance of stone grinding mill, please consult the online customer service.